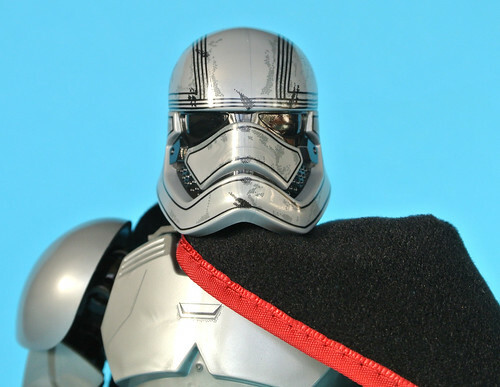 The spectacular chrome armour of Captain Phasma has turned the character into a merchandising sensation, one only topped by the appeal of Kylo Ren and BB-8. 75118 Captain Phasma will probably therefore prove to be one of the most popular Buildable Figures yet released and with good reason in my opinion. This is one of the larger figures from the second wave, priced at £19.99 and containing 82 pieces. I suspect the cape accounts for much of that value as the figure is superficially similar to 75114 First Order Stormtrooper which is cheaper, although the increased size of Phasma's F-11D blaster rifle and the slightly more complicated construction methods used in 75118 also justify it to an extent.